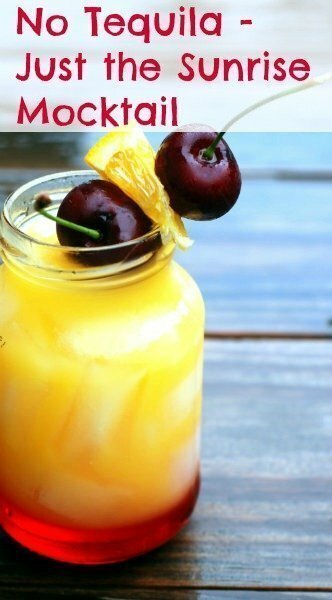 My Tequila Sunrise Mocktails are the easiest and prettiest drinks you will ever serve. Trust me. It’s such a refreshing summertime or anytime drink for children and adults. The first time I fixed this for my grandchildren, they were mesmerized by the beautiful color and the refreshing taste. I served these drinks with appetizers for my daughter’s 25th birthday. You can find the menu and recipes for that party here. Pour a generous dash of Grenadine into the bottom of a tall glass. Fill with ice. Add the orange juice and then the pineapple juice. 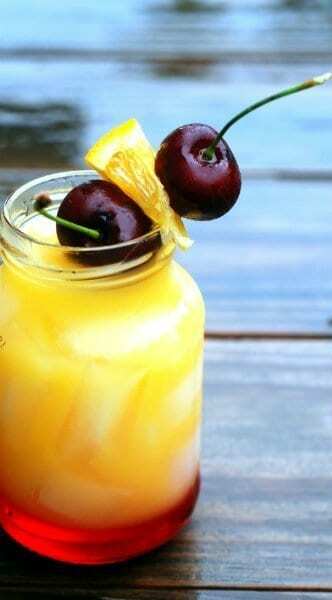 Add a slice of orange and a cherry for garnish, if desired. Helpful Hint: Follow the steps exactly and make sure to add the ice after the Grenadine. The ice is what keeps the juices separate and the colors pretty. You can find my Best Ever Mocktails for Spring or Summer here! 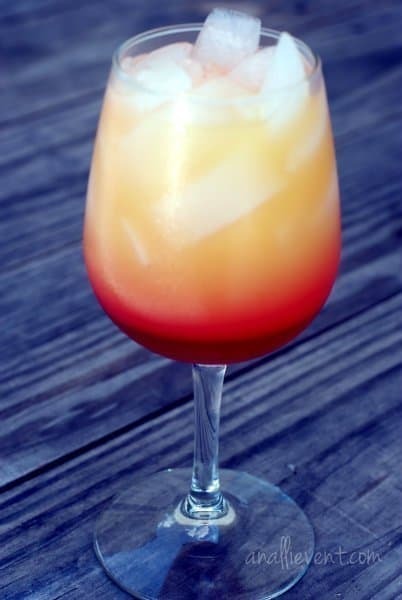 You’re gonna want to try my Tequila Sunrise Mocktails ASAP! What’s your favorite mocktail? That’s so pretty and I’m sure my boys would feel “fancy” drinking them! How Fun! They are fun and so, so easy. And my grandson’s did enjoy drinking them. So pretty! I’ll have to pin this for later! That is pretty! I bet your daughters party was a hit. Thank you for sharing! She enjoyed it. Well, we all did! Thanks! Congrats on your pregnancy and thanks for stopping by. Those look so pretty!! I bet my kiddos would love these!! me too!! My grand kids loved them. Thanks for stopping by! These are beautiful! Love that they are non-alcoholic! Have a great week! forgive me, but what is a measure and a 1/2 measure? A “measure” is whatever unit you’re using. For instance, if you use 2 oz. of orange juice, use 1 oz. of pineapple juice. Sorry for the confusion.